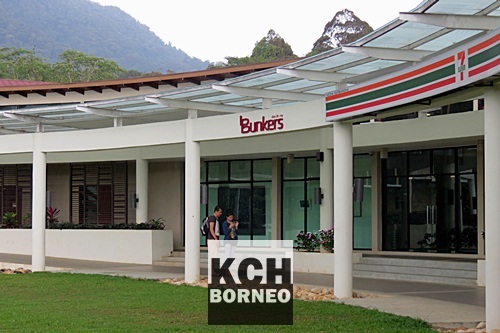 BB Bunkers in Damai Central is currently the only bed and breakfast accommodation of its kind in Damai, which is about an hour drive from Kuching City. 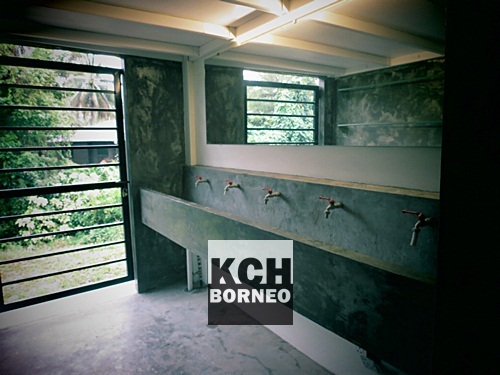 Located approximately less than 5 minutes from the award winning Sarawak Cultural Village, this new ‘hostel like’ accommodation keeps things basic, but does well to give you almost everything you need to enjoy a wonderful stay at Kuching’s famous seaside. BB Bunkers entrance. 7Eleven is just beside it. The mattresses at BB Bunkers are believed to be those made from full latex. This pricey mattresses mean that the beds aren’t as soft as they ones you get at five star hotels, but make no mistake that it does ensure you get a good night’s sleep. We were made to understand the mattresses are spring mattresses..
One of the ‘bunks’. Clean, neat, practical and comfortable. The pillow provided are comfy and soft, and privacy is ensured when you wrap your ‘bunk’ with the thick curtains prepared, though you’d still be able to be heard. For entertainment, the TV lounge is equipped with a DVD player and bean bags, but there’s little more to do within the accommodation itself, hence why you’d be highly recommended to enjoy outdoor activities at Damai Central. Bathing at BB Bunkers was good as all five bathrooms come equipped with working water heaters. Also made available is about five external sinks which would mean that the bathroom facilities could be fully utilized at peak hours. Metal made showers which was delightful despite how it looked. For the tech savvy backpacker, worry not because high speed internet is available for free, and charging stations come with every bunk. This includes a safety deposit box which is only accessible using your wrist electronic key. Overview of the whole area at BB Bunkers. 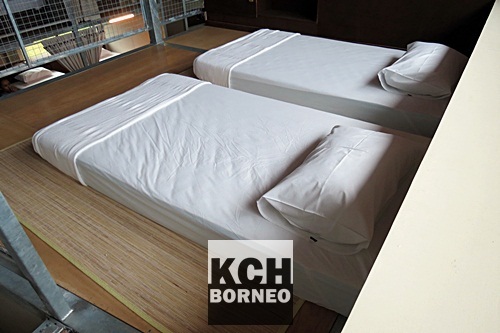 Prices range from RM50 per-night to RM180 during peak hours (RWMF). Guest are advised to pre-book (with full payment) shall you wish to enjoy the accommodation during the highly acclaimed Rainforest World Music Festival (RWMF). Overall, BB Bunkers is a no frills accommodation perfect for any backpacker wanting to save cost. Despite the low rates, the cleanliness is top notch, and the hospitality provided by the host is superb. For those wanting to stay in Damai, BB Bunkers has the best location. Everything is within walking distance. However, the metal structure of the 'rooms' might be a turn off.